There are many studies today that show the difference between a “boss” and a “leader.” What we see portrayed is the fact that being a boss is a bad thing whereas being a leader is a good thing. A leader is always portrayed as someone who is willing to take part in the tasks, shows his followers how to do things (versus just ordering them into doing them), and the cheerleader for the team. What is not portrayed much is the dark side of leadership. People are not machines. They contain many emotions, biases, and predispositions. So when a person is given the role of a leader, it does not make them immediately correct in everything they say and do. The problem is, many leaders think that with their new roles and duties, they are suddenly invincible. So how can we make sure not to get sucked into being the next Hitler? How can we make sure that we have followers who are continuously questioning our thinking and making us grow instead of stay in one place? The human’s natural thirst for power and drunkenness can make it a sweet sweet place to be but, if you are in a position where you are not questioned, then only you can question yourself. 3- Blind spot: Things that people see but you don’t see in yourself. Now, many people are probably thinking of their bosses and laughing now. Don’t forget that this is about you, not your bosses. 4- Unknown: Traits that neither you nor others know. This may seem evident later on and could be a good surprise. 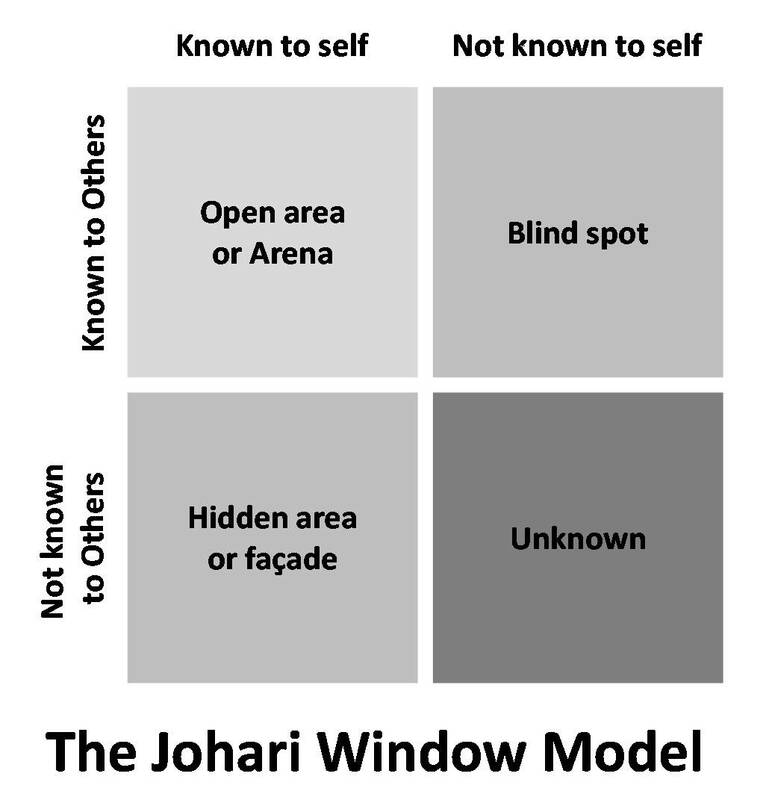 The whole purpose of knowing that there is a blind spot is to accept that you can get to know yourself better. 360 degree performance evaluations could help shine light on this blind spot, making it smaller. In the end, don’t we want to get to know ourselves better? The first step towards change is the willingness to change. Do we really accept and want to take part in getting to know ourselves or are we too scared to see what is hidden? Joseph Conrad’s final judgment in The Heart of Darkness was “the horror, the horror”. Are we too scared to face the horror that lives within? 1- The micro-manager: This is pretty straight forward. The micro manager makes sure to oversee every single little minute detail of every single little minute project. Why? Because they are probably egotistical perfectionists who think no-one can do the job the way they want it to be done. Now, imagine if your mother micro managed you while you were getting your homework done. Would you have learned anything? No. What better way to teach people than to allow them to experience and make mistakes. To all micro managers out there: you are giving yourself a hard time and over complicating your job. Learn to delegate and overlook variances in the outcome your subordinates submit. Try to be a “teacher” and teach. A few years ago, I had a specific method of filing, hole punching, and stapling papers. In my micro-managerial mind, it didn’t take a scientist to know that all papers had to gently folded in the middle to ensure that the hole punch is correct. The staple had to be on the top left side almost 1/4 of an inch from the top. I never talked about it to my assistant and one beautiful morning, I was presented with a bunch of papers with the staple in the top middle. WHY? How am I supposed to read the document? Can you imagine? If you can’t please go ahead and staple some papers and give me your feedback. What I learned from this is (no, I will not overlook this very important matter) during the interviews I ask the candidate to demonstrate how to punch and staple some papers together. Win-win situation! 2- The procrastinator: A manager who will do things eventually. This, my dear friends, could be a blessing in disguise. How so? You don’t need to do anything and when your manager asks, throw the ball in their court and wait for a decision that will never be made. I’m not a procrastinator so I don’t have any anecdote to serve as an example. In my opinion, get things done in advance, try to stick to a schedule, and meet with your manager regularly to get your next task assigned. Make sure that you are doing your job because, who knows, maybe you will end up being promoted into your manager’s job! 3- The idiot: Honestly this could just be your point of view. Some managers get promoted for a variety of reasons, most could be office politics. You could be working for someone who seemingly doesn’t know what’s going on but this can also be played to your advantage. Befriend your manager and maybe, just maybe, you could find out what qualities he has. Don’t look too hard, sometimes there’s nothing inside. Hello! 4- The dictator: The basic dictator who likes to do things his own way. Hopefully you are not being asked to do something wrong or illegal but when someone really cares about the job, that’s when it hurts. What’s worse is when the dictator is also an idiot. Ah, this, my friend, is an indicator to look for another job because in the end, people don’t leave companies, they leave managers. 5- The abuser: the abuser needs to know that it’s not alright to abuse. Chandler’s boss in the clip below is using his power as a manager to praise his employees in a not so polite way. Yes, it seems funny but this is a manager who has crossed over to the dark side of leadership. You are given the power but you are not supposed to abuse it. Now, normal people with emotions and feelings and with limited years of experience could be put in a situation where their temper could spiral out of control. For example, a very nice manager I know was in a disciplinary meeting with a few employees trying to figure out something about someone (she doesn’t even remember what the meeting was about). She was getting opposing facts, people pointing fingers at one another, and sheer chaos. After listening patiently for ten minutes (patience isn’t one of her strengths) she decided to pass out warning letters to everyone just to flex her muscles. Now she’s not a very big person and her employees were older men and women so they probably saw her as an “idiot”. She quickly and angrily jotted down the points on a piece of paper and asked them to sign them. The first two employees signed without saying anything and the third just refused. He just said no and started to walk away. We have a saying in Arabic that means if you can’t reach something with your hand, reach for it with your leg. No hand nor foot would have reached the employee quick enough, and to our surprise, a quick throw of the pencil hit him on his leg. No he wasn’t hurt but seriously, it is NOT ALRIGHT TO THROW PENCILS AT YOUR EMPLOYEES! Being leaders come with great responsibility. Try to get to know yourself better, be open to criticism, obtain an open door policy, get to know your own strengths and weaknesses, try to grow your knowledge. Being a leader is not a ticket to make people run your errands nor is it a way to start your own cult for the sake of your ego. Do not be sucked into the dark side of leadership.